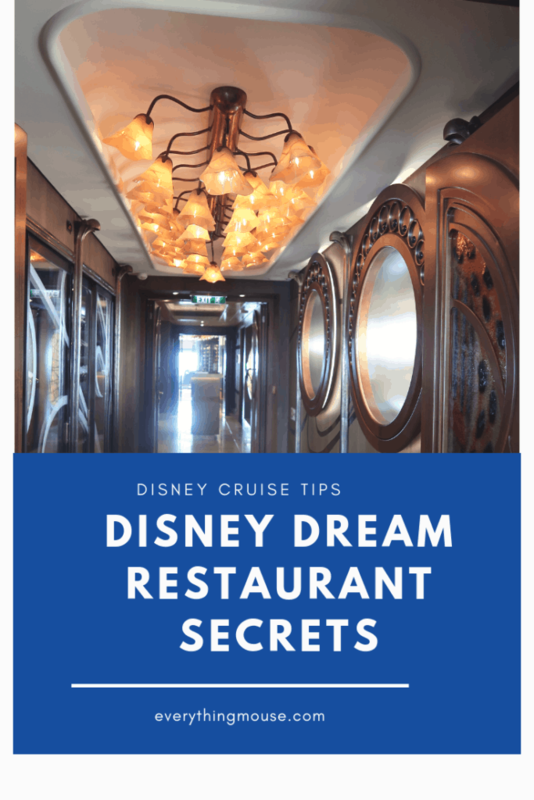 Here it the Disney Dream Restaurant Ultimate Guide. 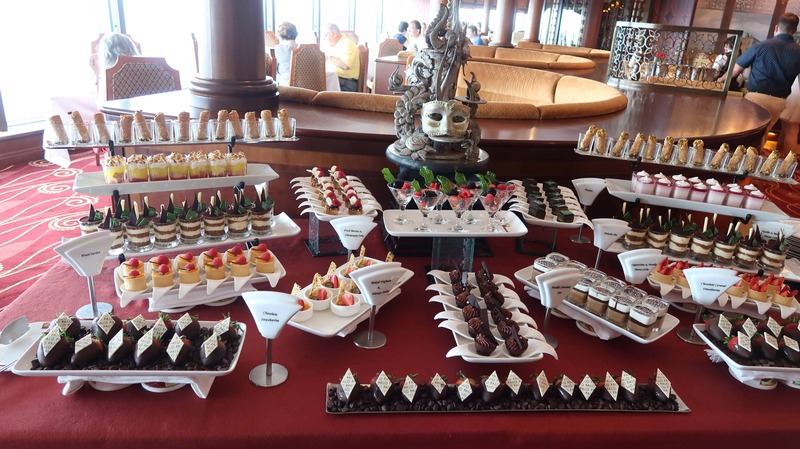 If you are sailing on the Disney Dream you will experience a fabulous variety of restaurants. You will dine in each of the rotational dining Disney Dream restaurants at least once on your cruise. 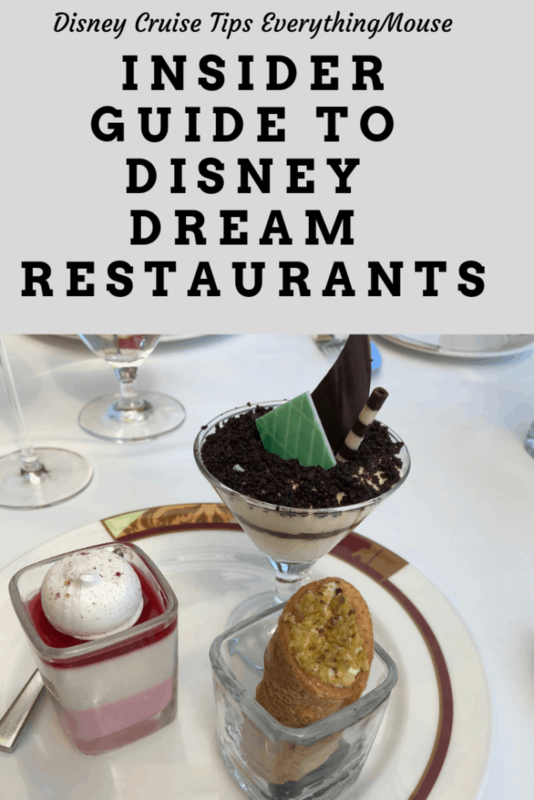 Here is our guide to the Disney Dream restaurants so that you can get the most out of your cruise experience. The Disney Dream has a total of 5 sit down restaurants and a buffet restaurant. 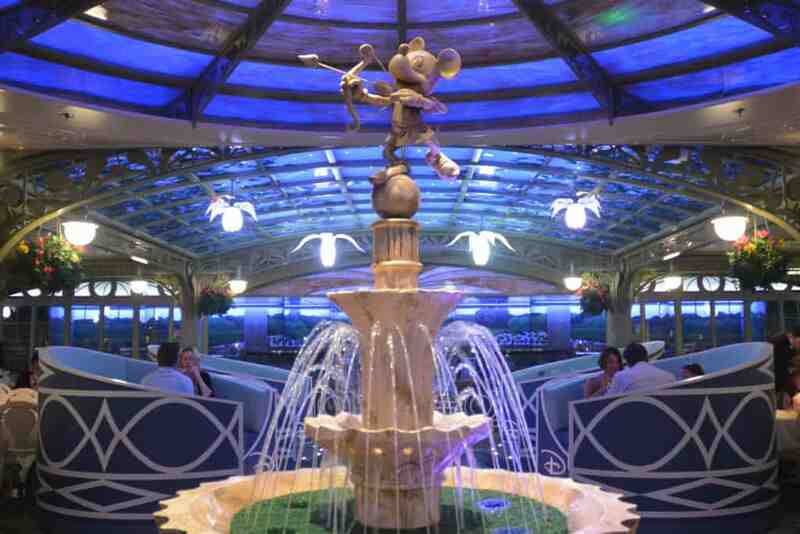 The Disney Fantasy has identically named and themed restaurants to the Dream, but they vary a little in actual design. Largely however you can read this guide for the Disney Dream and apply it to the Disney Fantasy. There are 3 rotational dining restaurants on the Disney Dream cruise ship. These are Animator’s Palate, Enchanted Garden and Royal Palace. The Disney Dream has 2 adult only premium restaurants. These are Palo and Remy. Each of these restaurants has an additional charge and is open to the over 18s only. 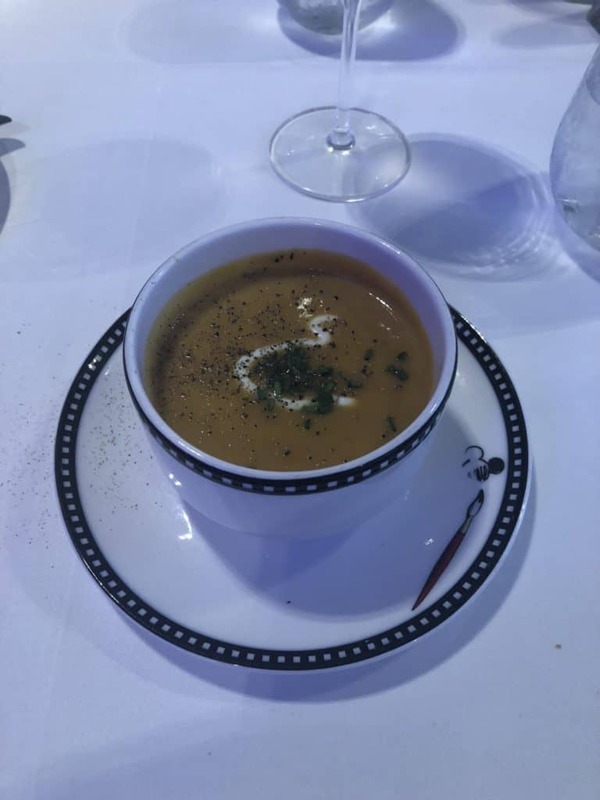 What Is Disney Cruise Rotational Dining? You may have heard people talk about rotational dining. What exactly is this? 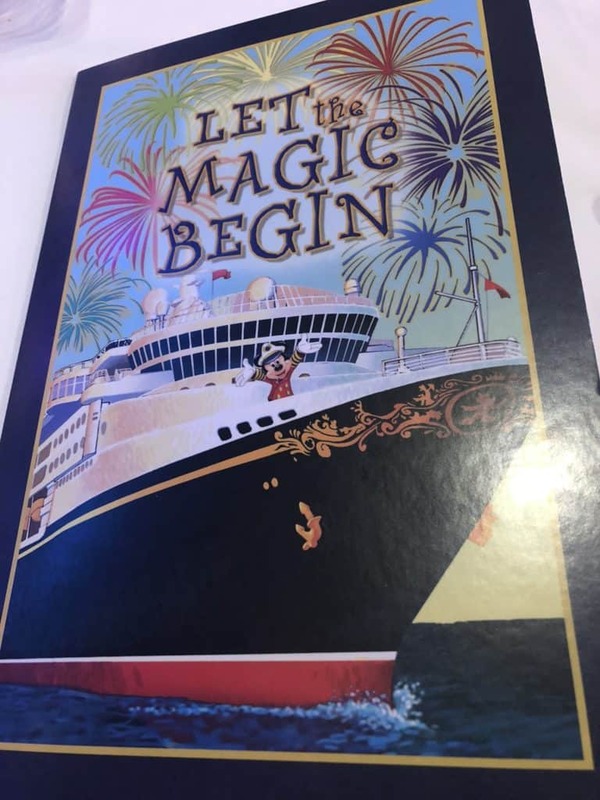 It is a unique concept for Disney cruise lines and will make your Disney Dream restaurants experience very special. 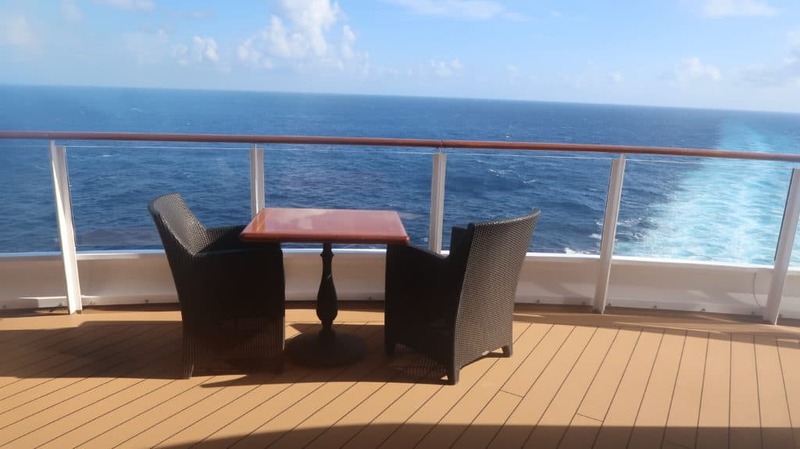 On each cruise you will visit each of the 3 rotational dining restaurants at least once. 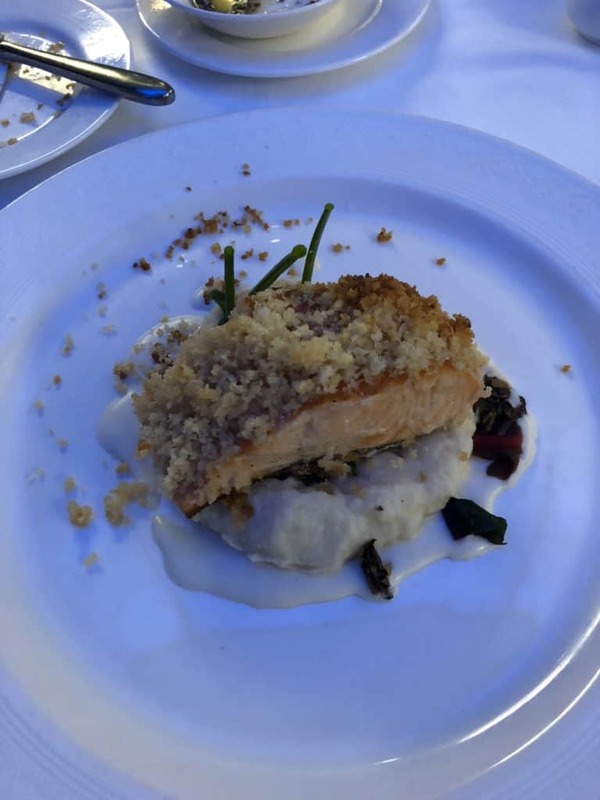 The Disney Cruise Food and Dining Experience is exceptional. When you check in on the day of your cruise you will be given your Key To The World Card. On there will be clearly marked your dining time and table number. Underneath this will be some capital letters. These letters show you what your dining rotation is. A is for Animator’s Palate, RP is Royal Palace and E is Enchanted Garden. So if your first letter is A you will know that Animator’s Palate is your first Disney Dream restaurant on your first sailing night. When you go to your allocated Disney Dream restaurant on your first night you will meet your dining team. They will be your Server, Assistant Server and your Head Server. These people will be your serving team for the duration of your cruise. They will move around the rotational dining Disney Dream restaurants with you. So if you start in Animator’s Palate one night and then the next you are dining in Royal Palace your dining team will be waiting for you. I think that the rotational dining system is one of the best things about Disney Cruise lines. The Disney cruise servers are usually exceptional. They get to know your likes and dislikes and will do their very best to make sure you have a great experience. The Disney Servers are particularly great with kids. They are not many places where a server will cut up your child’s food for them or make sure that they have a Mickey Mouse Ears shaped design of ketchup. Often they know puzzles and have time to spend with the kids at the end of the meal. It is good to know that you will be seeing familiar faces at dinner each night of your cruise. Usually, you will like your servers so much you will make sure that you request them on your next cruise. 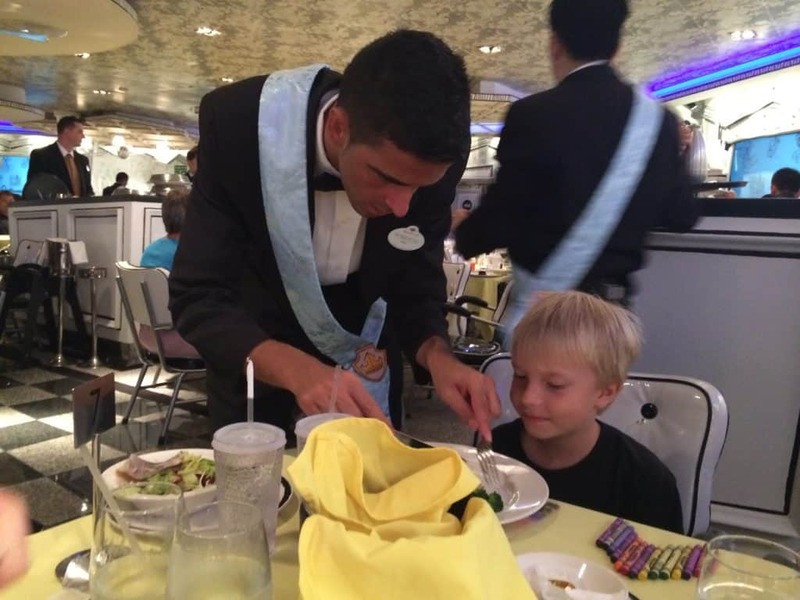 It is just another way that you are made to feel that going on Disney cruises is returning to a familiar place with friendly familiar crew members. This really is part of the Disney difference. You will find Animator’s Palate on all of the Disney cruise ships. 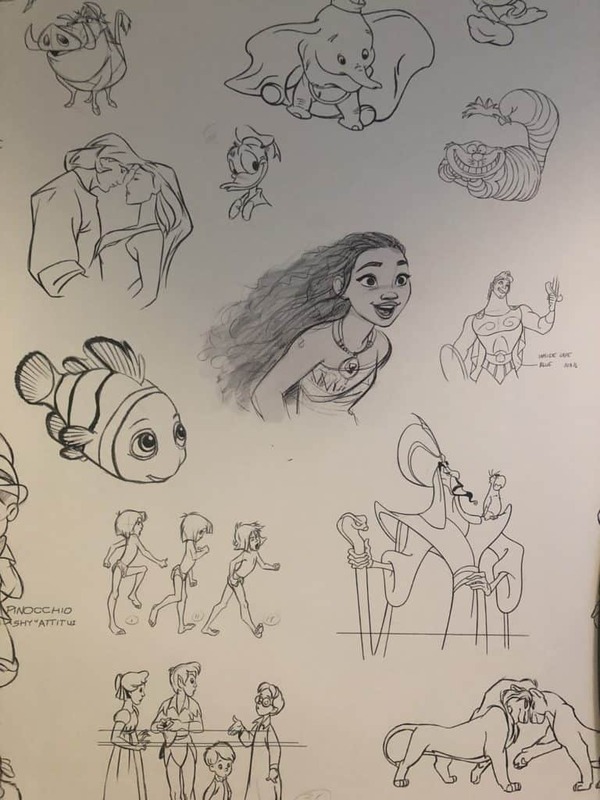 I am betting that you will find it on the new Disney cruise ships when they start being launched in 2021. Animator’s Palate is such an iconic Disney cruise feature you really need to experience it at least once. The decor in Animator’s Palate is simply stunning. Make sure that you take some time to walk around the restaurant at the end of your meal to explore the shelves and pictures on the wall. The first thing that you will notice is the screens on the wall. 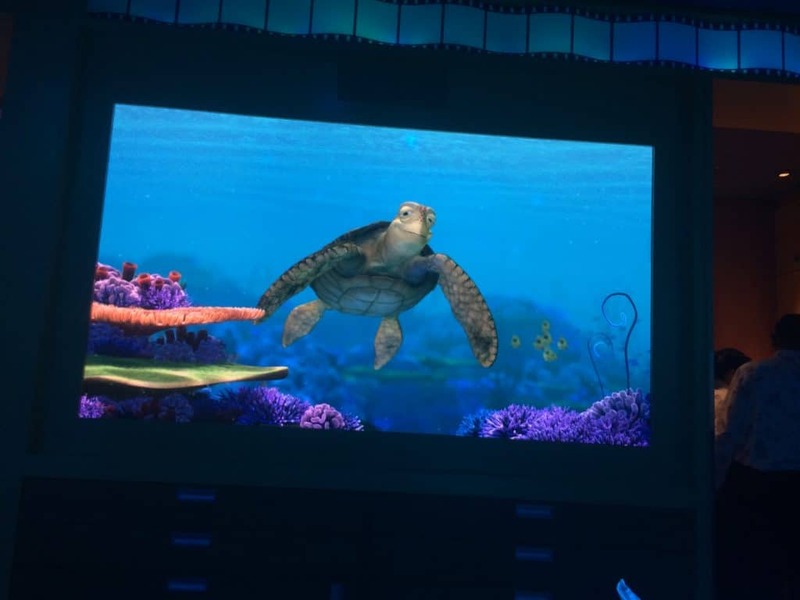 Animator’s Palate has a very memorable dinner show involving Turtle Talk with Crush. Yes, Crush really can hear what you are saying. 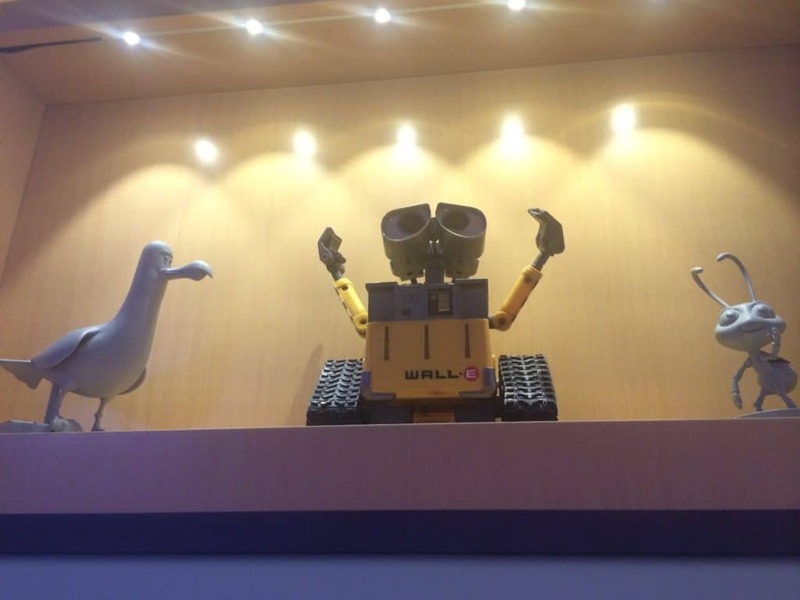 He may even swim over to your table to talk with you! Animator’s Palate is often a big hit with the kids because of it’s interactive features. However, the adults also really appreciate all the attention to detail. Even the plates are beautiful! Animator’s Palate menu has lots of great choices. 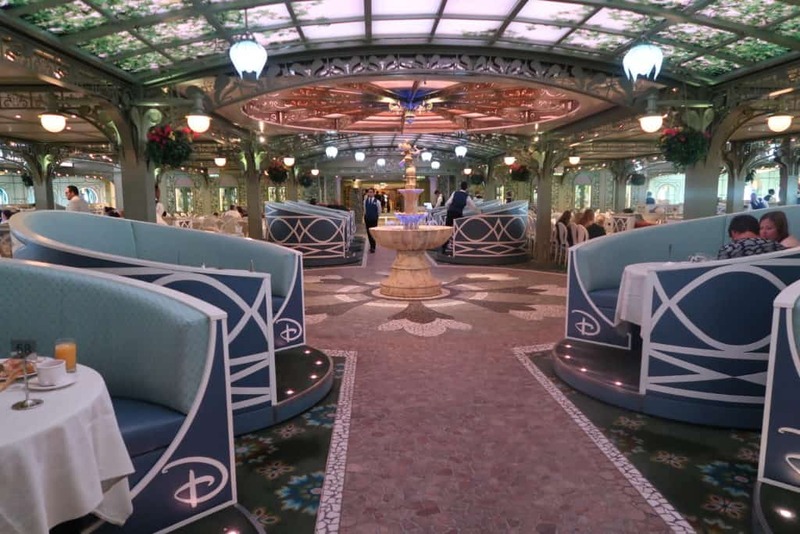 The Disney Dream Enchanted Garden Restaurant is perhaps the most elegant of all on the ship. It is located on Deck 2. Enchanted Garden serves dinner every night as part of your Disney Dream restaurant rotation. It also serves a buffet breakfast and on sea days it is open for lunch. The decor in Enchanted Garden is stunning. The Enchanted Garden restaurant decor was inspired by the gardens in the Palace of Versailles in Paris. Take a little time as you approach Enchanted Garden to really look at your first impression. As you walk through the door you will notice how beautifully “framed” the entrance is. It is like walking into a stunning European garden. There is a long aisle which has round booths on either side. At the end is a fountain which is the focal point of the restaurant. Of course you will see Mickey on the top of the fountain. Look up to the ceiling. The lighting is beautiful. During your meal, the sky will change from daylight to sunset. During desert, the scene will transform to the night sky on a starry evening. The booths in Enchanted Garden are the most sought after places in the restaurant. You can try requesting one but it is not guaranteed. 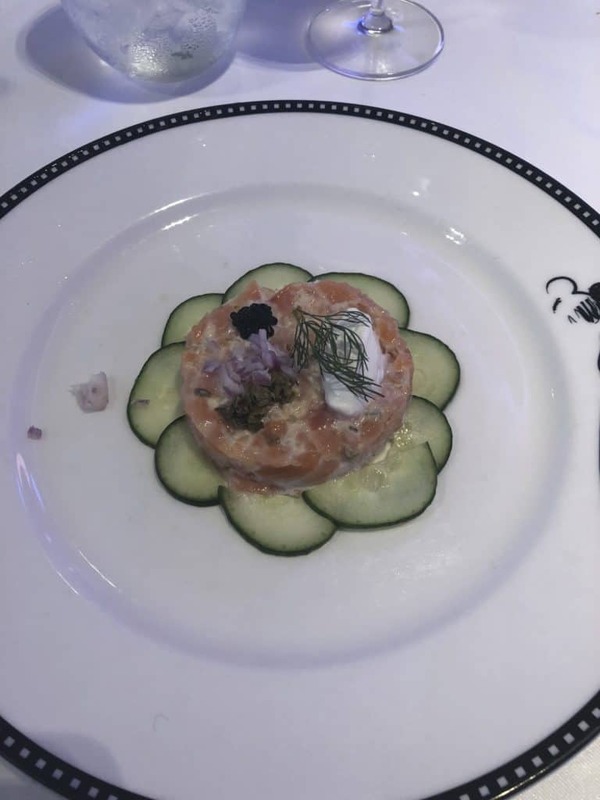 The Enchanted Garden Menu on the Disney Dream is, as you would expect from the decor, French-themed. As with all Disney cruise restaurants, there is something for everyone. 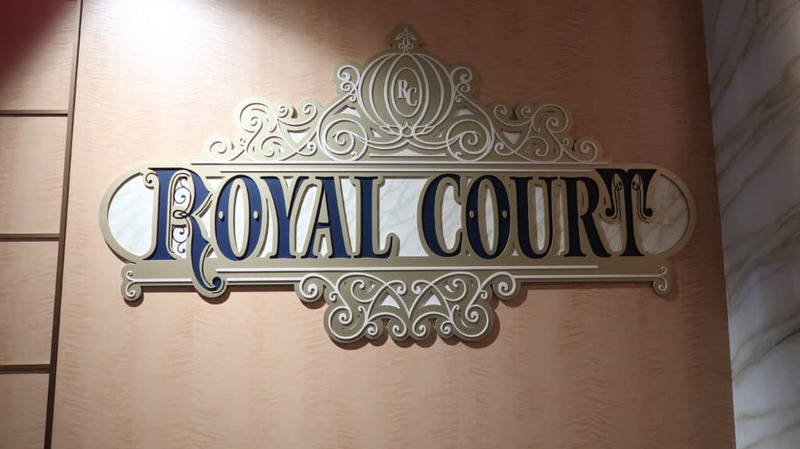 The Royal Palace restaurant on the Disney Dream is themed to celebrate the Disney Princesses and Princes. 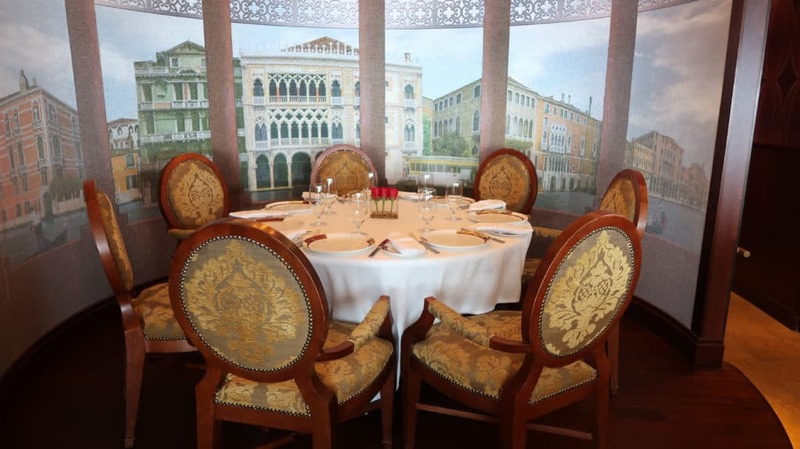 The decor is wonderfully lavish, creating a luxurious feel to this Disney Dream restaurant. 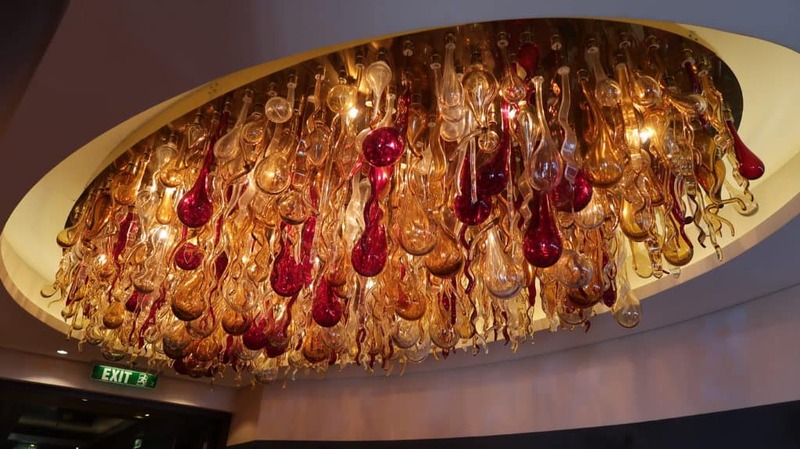 Reds and golds are beautifully used throughout the restaurant to give it that regal feel. There are lots of paintings of the Princesses lining the wall. 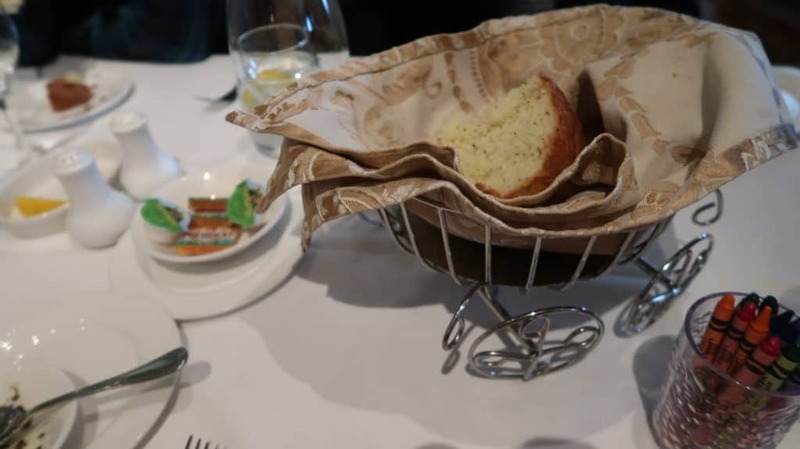 A fabulous touch is the bread basket in the shape of Cinderella’s Coach. I wish they had that for sale in the store! The menu at Royal Palace is French inspired. 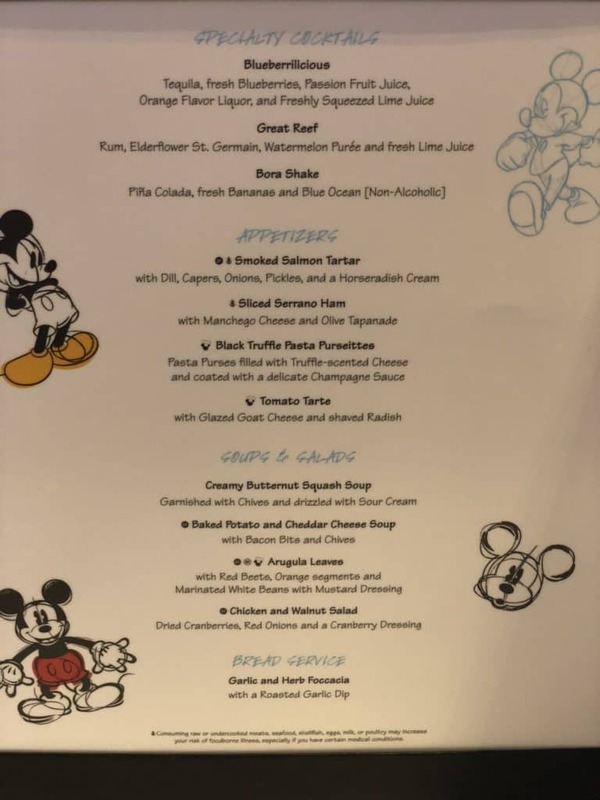 This is perhaps the best menu on the Disney Dream. It is certainly one of my favorites. 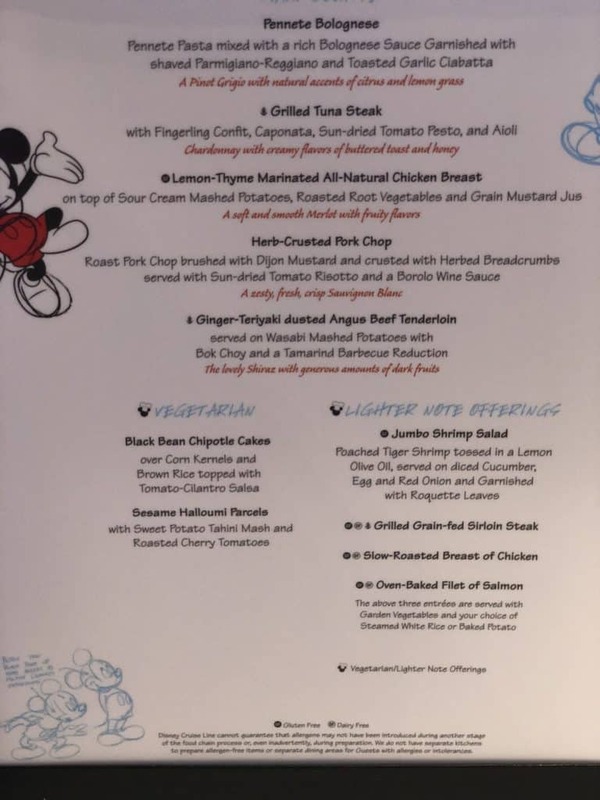 It has some items on this menu which are also included at Triton’s on Disney Wonder and Lumiere’s on the Disney Magic. You will probably find yourself spending quite a bit of eating time in the Cabanas Buffet. Serving breakfast and lunch every day as well as an a la carte dinner menu, this is the place. The Cabanas Buffet on the Disney Dream is very spacious. 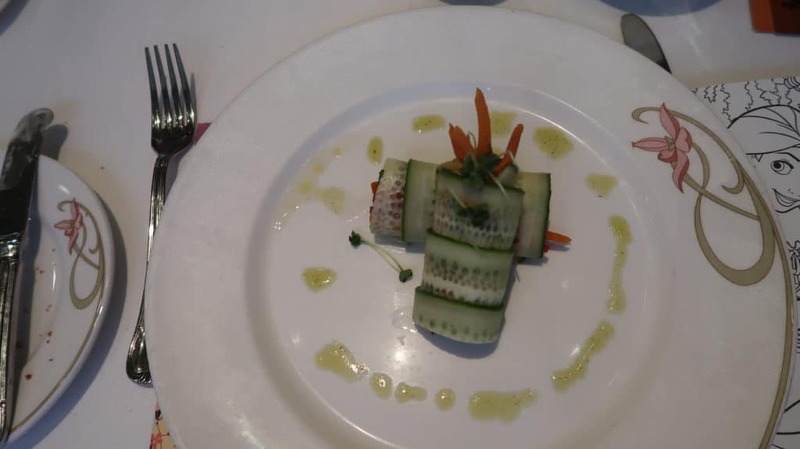 Some cruise buffets are badly designed, but this isn’t one of them. There is plenty of inside and outside seating. There are two sides to the buffet which are identical to each other. At busy times, both sides will be open. Each side is identical. There are various different buffet stations in Cabanas. They include salads, seafood, pizzas, pasta, a carvery and many different offerings of hot food. You are encouraged to not see this is a buffet where you have to stand in line. There is space behind the stations and in theory, you can “jump in” at any point. In practice, you may not win the friendship of your fellow guests if you do this! Just be courteous and consider that others may be waiting. 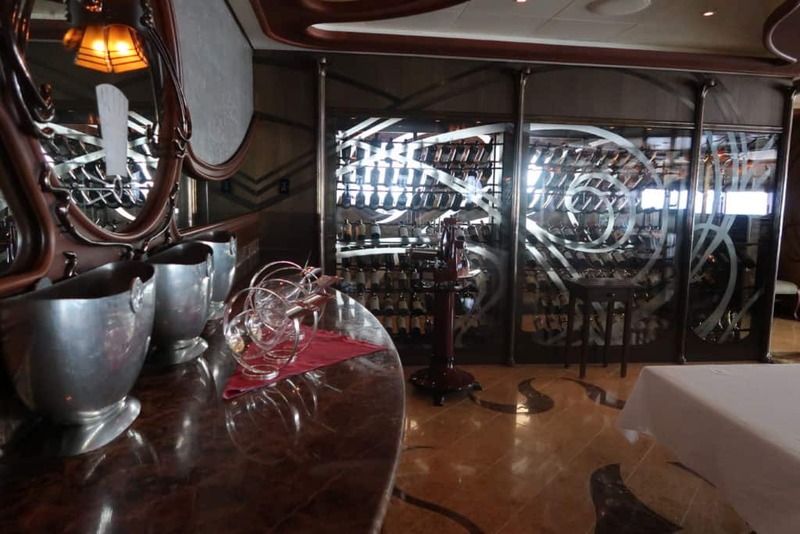 Palo is an adult only restaurant which you will find on all of the Disney cruise ships. On the Disney Dream Palo is located on Deck 12 Aft. You have a choice of Palo Brunch or Palo Dinner. The Brunch is served only on sea days, but dinner is served every day. You can book prior to boarding your cruise by using your Cruise Personalizer. However, you can only book one dinner and one brunch. The only exception to this is if you book Palo Dinner on the first night you can also reserve an additional night on the cruise for dinner. This is because it is more difficult to get guests to book on the first night as usually, they want to explore the rotational dining restaurants first. I am often asked which is better. Palo Brunch or Palo Dinner? If you want to learn more about Palo and decide between Brunch and Dinner here is my comprehensive review. The decor is upscale but very welcoming. The theme is of course Italy. The attention to detail is amazing. Make sure you spend some time looking around the restaurant. You can’t fail to notice the beautiful glass work in the foyer. It really is stunning. The best tables are those by the window as you get a fabulous view of the ocean. Palo Brunch is a combination of a buffet and a la carte. You can eat as much as you want, although it can be quite difficult to choose! You server will show you to your table and offer you a choice of a Mimosa or a glass of sparkling wine. They will then show you the choices at the buffet table. There is also a menu which has various breakfast and brunch hot entrees. Palo Dinner is a very different atmosphere. Try and get an early evening booking if you want to watch the sunset from your table. It certainly sets the scene for a very romantic Palo dinner. The menu is, of course, Italian influenced. 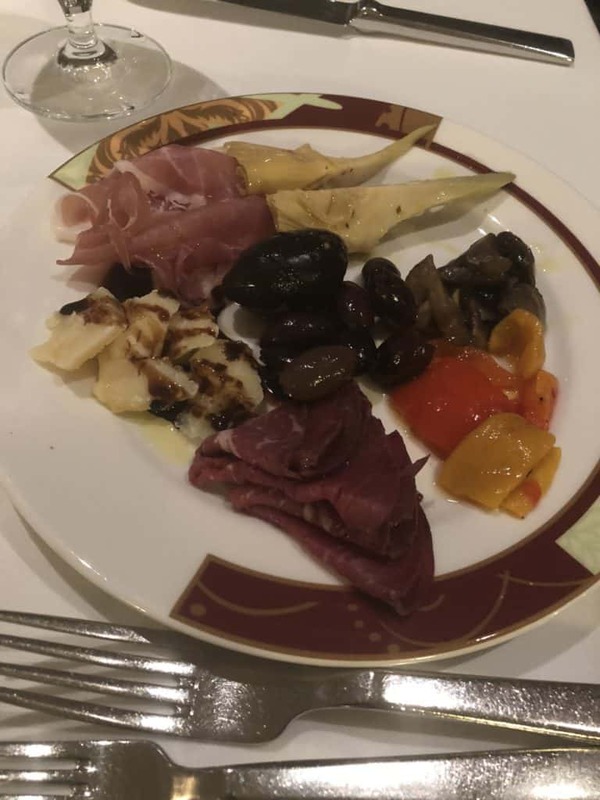 Your server will bring antipasti to your table and you can choose what you want. For me this is one of the best parts of the Palo Dinner. The quality of the food and service is exceptional. Although the price has gone up in recent years I still think that for $40 for Palo Brunch or Dinner it is still a great value. Wine is extra of course, but you do get a complimentary glass of sparkling wine with Brunch. 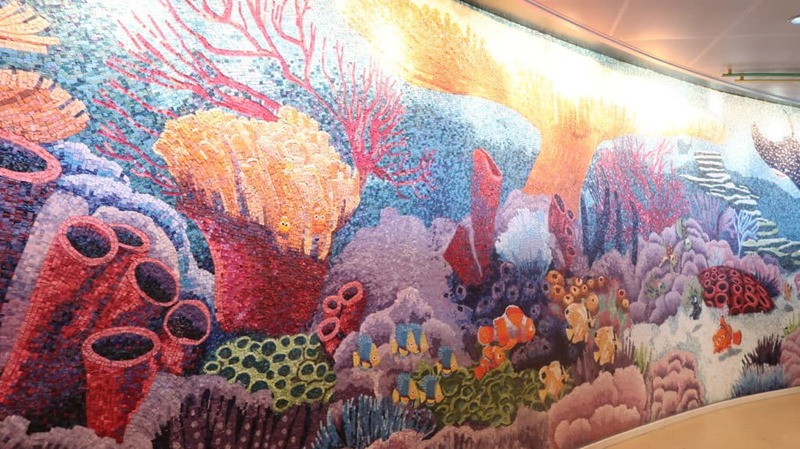 Palo on the Disney Dream is certainly something you should try. It is just one of the fabulous things to do for adults on a Disney Cruise. 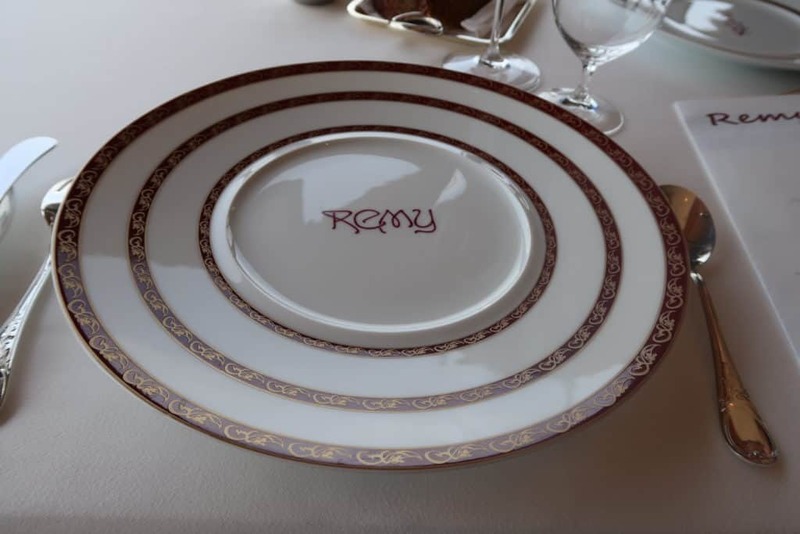 If you are looking for an exceptional dining experience on the Disney Dream you have to make a reservation for Remy. 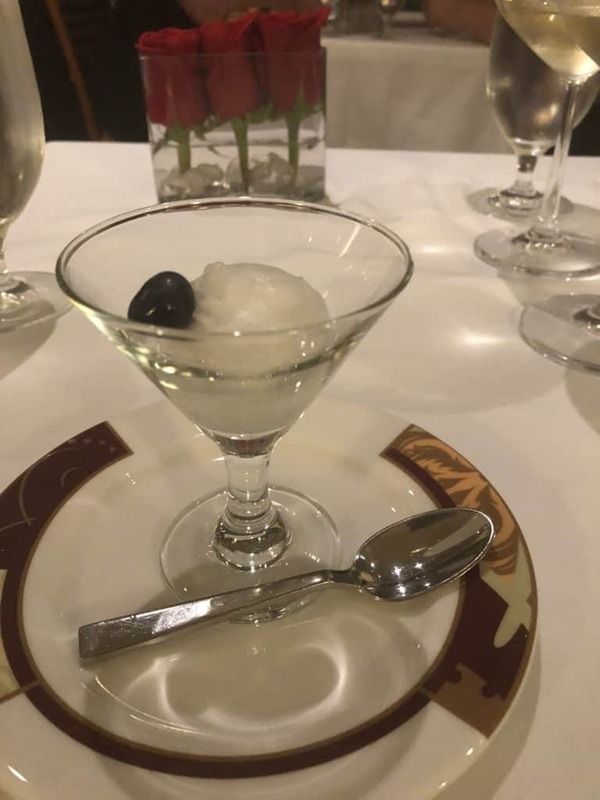 This is one of the finest restaurants at sea. For those of you who know Disney World, Remy is the culinary equivalent of Victoria and Albert’s. Remy is located on Deck 12 Aft on the same deck as Palo. They are separated by the Meridian Bar which is another hidden gem on the Disney Dream. It is a small bar with a great outside space. Most guests only go there when they are dining at Remy or Palo but it is a great place for a quiet drink even if you aren’t dining at one of the adult restaurants. Remy is, of course, the highly talented foodie rat chef from the Pixar movie Ratatouille. The restaurant has many very subtle references to the lovable Remy and the Pixar movie. 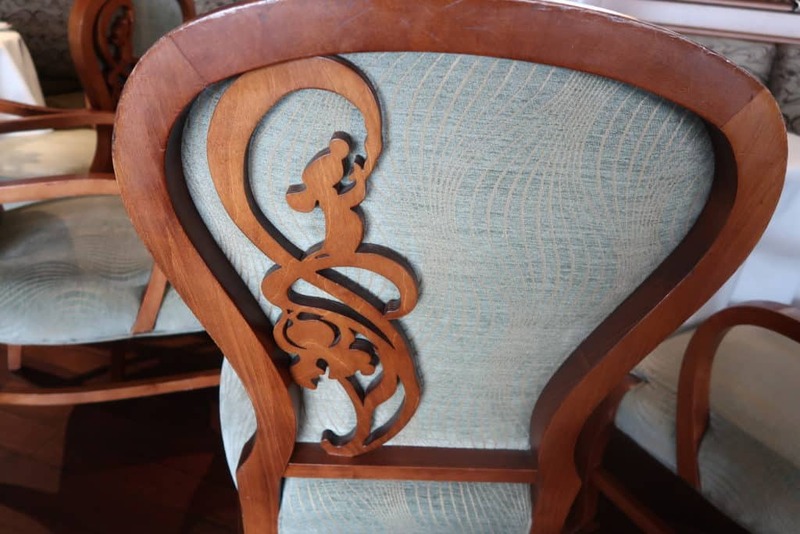 The decor is very elegant and if you didn’t know to look for the references you may not even see them! Remy is smaller than Palo and has a much more intimate atmosphere. 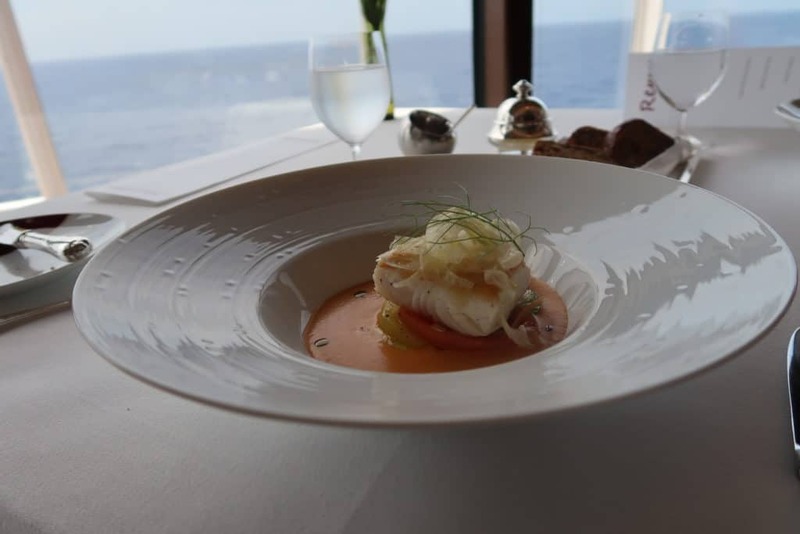 This is a fine dining experience like nothing else at sea. The service is impeccable. Somehow your server will know when you need them and when you want them to be out of sight. What’s not to like about a restaurant that has a stool for you to rest your purse on? The menu is of course unapologetically French. Chef Scott Hunnel of Victoria and Albert’s and advising Chef Arnaud Lallement a 3 Michelin starred acclaimed owner of l’Assiette Champenoise restaurant in France, each create the menu. 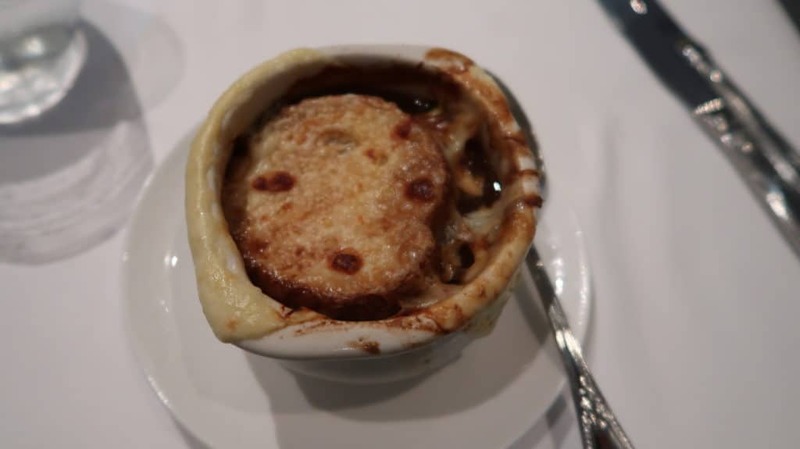 The Remy menu varies according to the season and what is available in the ship’s location. 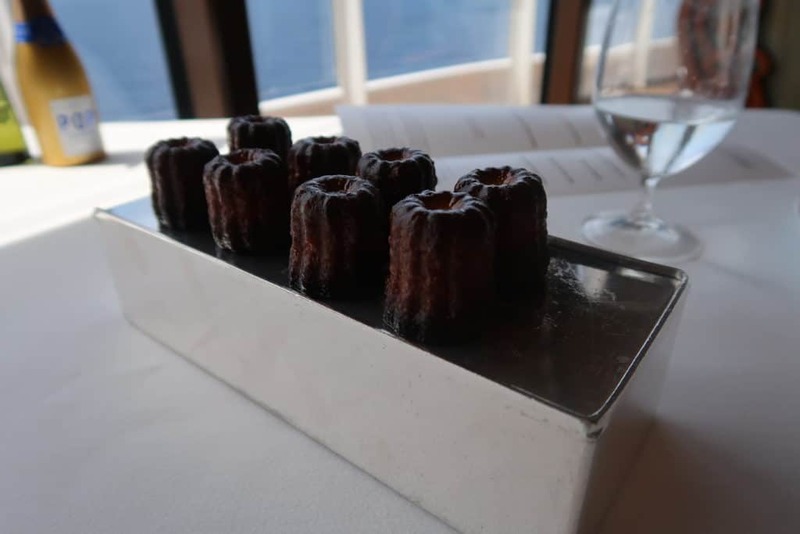 You can be assured that you will experience something very special when you dine at Remy. 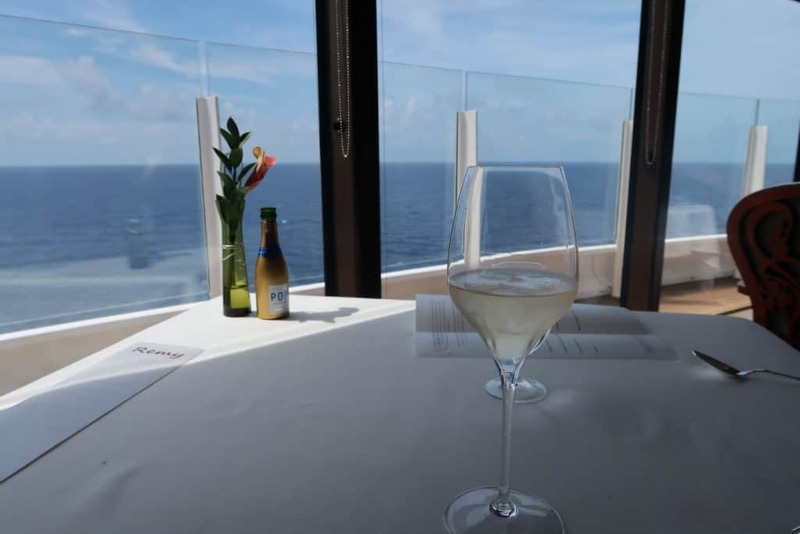 Remy restaurant on the Disney Dream offers four different dining experiences. Remy Champagne Brunch, Remy Dinner, Remy Dessert Experience and Petites Assiettes de Remy. Remy Champagne Brunch begins with you being invited to wait in the Meridian Bar until your dining experience is ready to start. You will then be taken into the restaurant with your fellow diners. The chef and the sommelier will explain some of the details of the food and the wine. You will be served a glass of champagne and a small plate of amuse bouche. Take a moment to look at some of the wines in the cabinets at the side of the room. Some of those bottles are priced higher than a family vehicle! However, there is a more reasonable and accessible wine and champagne list. The Brunch includes one glass of complimentary sparkling wine only. If you want anything more you can choose a bottle or the very popular Champagne Paring option. Your server will then show you to your table and discuss the food options with you. If you have any special dietary requirements or preferences always discuss this with your server. They will go over and above to accommodate you. There will follow a series of beautifully presented dishes for you to savor. Remy Brunch really is an exceptional experience on the Disney Dream. Remy Champagne Brunch costs $75 per person. If you want to add the Champagne Pairing it is an additional $30 per person. Remy Dessert Experience is for those with a seriously sweet tooth. It is a 5-course dessert menu served with coffee. 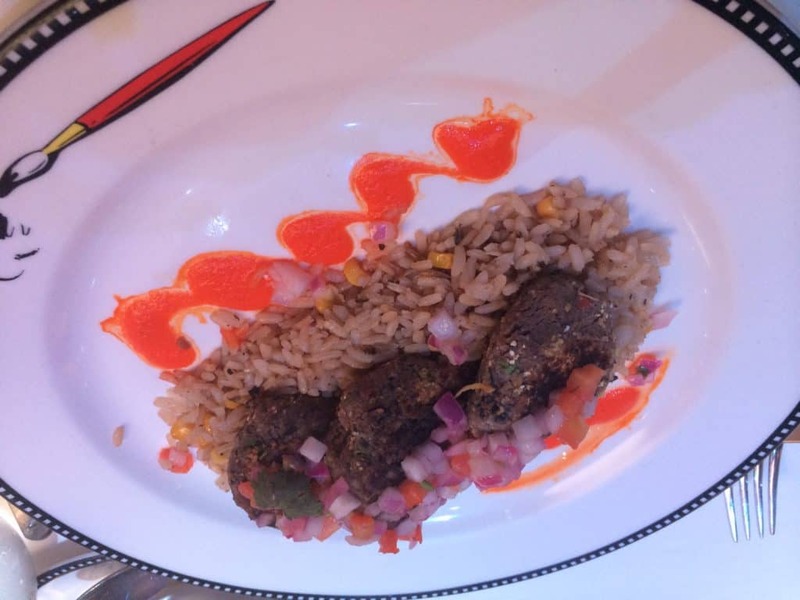 It is a unique experience where the emphasis is not just on enjoying the food, but on learning more about it. Remy’s Executive Chef and Pastry Chef explain the history and concepts behind each of the desserts offered. 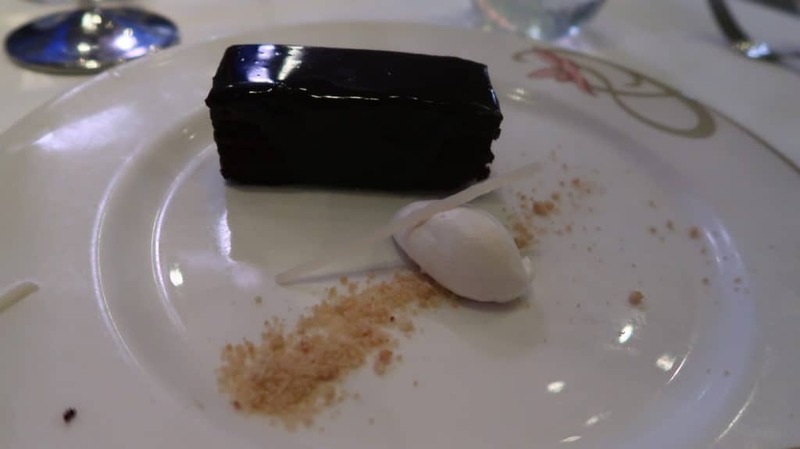 The Remy Dessert Experience on the Disney Dream is available for $60 per person. There is a $25 additional charge per person when adding the wine pairing. Petites Assiettes de Remy is a different experience where you combine small plates with a 6-course wine tasting. This is only offered on the first day of your sailing in the early evening. It is hosted by the Executive Chef and the Sommelier of Remy. Once again this is a tasting and an educational experience. The charge for Petites Assiettes de Remy is $50 per person including the wine pairing. 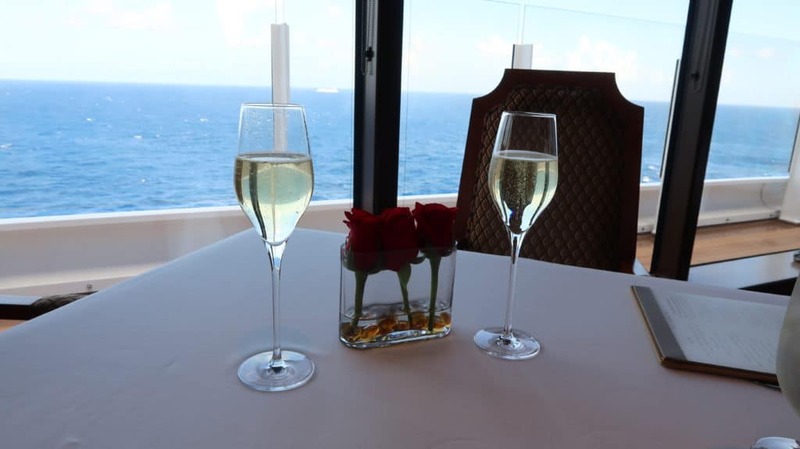 These four Remy dining experiences are only available on cruises of 4 nights or longer. This means that you must be on a four-night sailing of the Disney Dream. 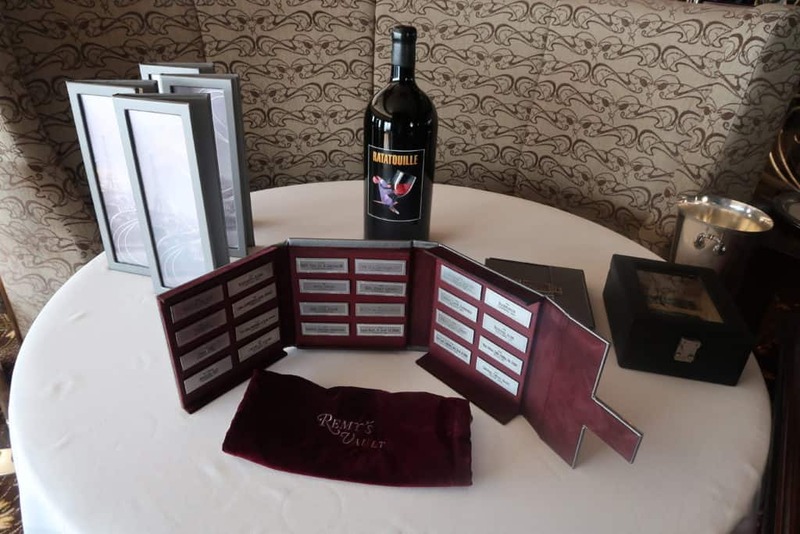 However, Remy Dinner is offered for each night of your cruise. This is an amazing dining experience. 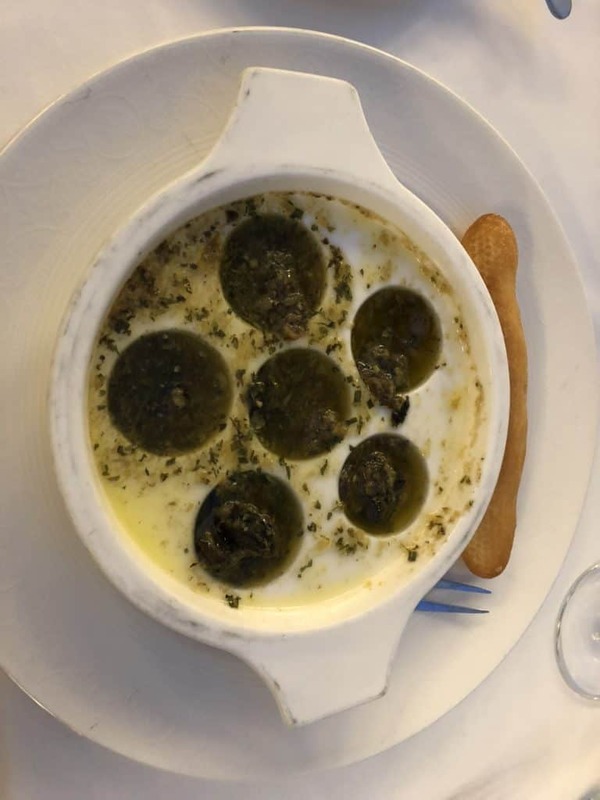 Though it is a splurge at $125 per person plus $105 if you want to add the wine pairing, dining at Remy really is something that you have to experience at least once in a lifetime! You will be served the famous Collette cocktail which is named after one of the characters in Ratatouille. This is a delicious combination of Prosecco, Grey Goose, Grand Marnier, Cassis Pearls, and Dried Pineapple. 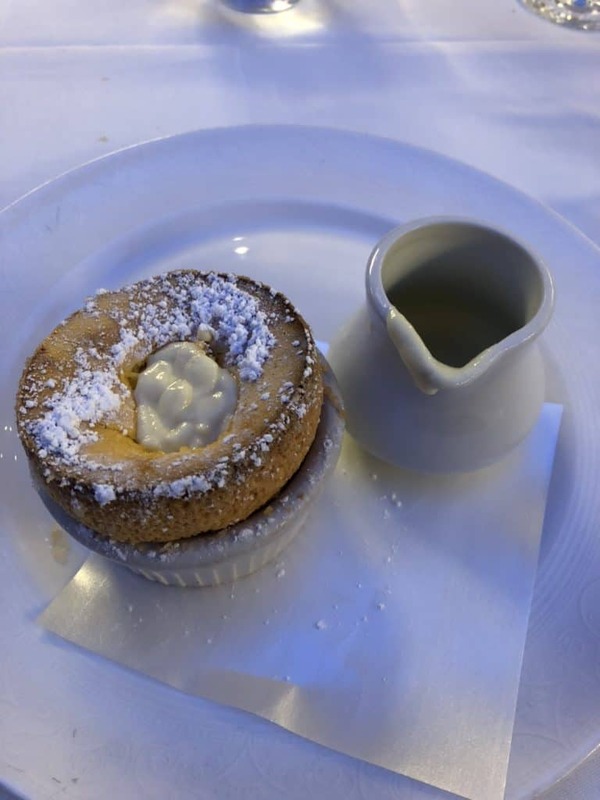 It is a wonderful start to your Remy dining experience. You then choose from one of the two menus. You have a choice of the Saveur Menu which is the French menu or the Gout Menu which is American. Remember that if you have any special dietary needs you can tell your server and then will make sure that you are taken care of. I realize that Remy is a bit of a splurge, but it is worth every penny. If you had this experience on land it would cost at least twice as much and you wouldn’t have that fabulous view out of the window! Which of the Disney Dream Restaurants are you looking forward to?